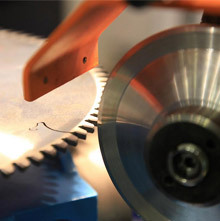 Whether you are looking to purchase new cutting tools or to sharpen and maintain your existing ones, Southern Saw has everything that you need. Southern Saw services the wood, plastic, sign, and non-ferrous industries and specializes in the high-tech CNC router tooling. When you are looking to create a top-quality product, you will need to start with top-quality tools. Southern Saw not only sells these tools, but we have a wide selection of them on-hand that are guaranteed to meet your most specific demands. CNC routers are designed to cut wood, composites, steel, plastic, aluminum, foam, and a variety of other solid materials with high-precision accuracy, making them ideal for your fabrication projects. In addition to selling cutting tools, Southern Saw can also service your cutting tools and ensure that they run properly and efficiently. We sharpen your tools to like-new status and can ship them all over the country via UPS, Fed-Ex, or the US Postal Service depending on your needs. Our technicians will begin our sharpening services by inspecting your tools to ensure they are not chipped or broken. After determining they can be sharpened, our sharpening specialists will use our state-of-the-art equipment to ensure your tools are balanced and in perfect condition. We understand your business needs yours attention. So for businesses located in the Maryland, Southern Pennsylvania, and Northern Virginia vicinity, Southern Saw will come to your location to pick up your cutting tools. After taking them to our shop to sharpen them, we will deliver them back to you in like-new condition. Our goal is to make the maintenance process of your tools as convenient as possible for your company. Whether you use your tools on a daily basis or just need them on occasionally, your tools will be delivered back to your business sharp and ready to go! An investment in your cutting tools will ensure their utility for years to come. To purchase new tools or to maintain the tools you already own, call Southern Saw today!